At Peninsula Sports Medicine Group, we have partnered with PACE to provide professional, highly-regarded personal training to ensure you reach your highest potential. 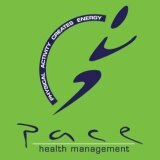 At PACE all team members are qualified Exercise Physiologists and members of AAESS. Combine this with post graduate study in Exercise Rehabilitation, PACE is far more consistent than your average trainer! Training sessions are available in 1 hour or 1/2 hour sessions. Your session will be a combination of strength, fitness training, resistance training and flexibility exercises tailored to your needs and goals. Your Exercise Physiologist will keep you motivated by mixing up the activity and keeping things interesting and challenging. You’ll be shown the best way to ensure your technique is conducive to maintaining great shape and fitness levels. Once PACE works with you, you’ll feel and see the advantages while realizing your potential. You’ll be hooked on the feeling of wellness before you know it! You can find a PACE Exercise Physiologist at either our Langwarrin or Rosebud clinic.